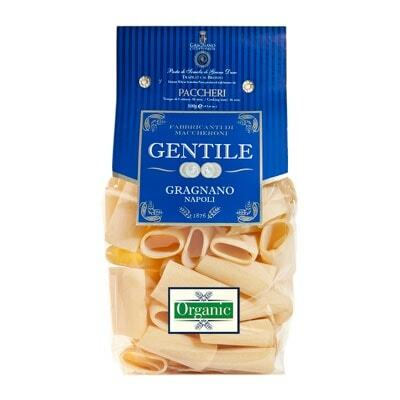 Popular in the regions of Campania and Calabria, these Paccheri by Gentile are ideal for all kinds of sauces, especially savory ones with meat. They are also great for dishes with lots of aromatic garlic. In addition to that, these are also perfect for a variety of hearty soups. Some also use them for baking, in which you put filling inside each pasta tube. Actually typical of the village Gragano, this pasta is perfect for stuffing meat or others sauces. But like most pasta, you have to make sure they’re simply al dente when done. Want to see if we’re right? Grab a pack and get cooking now!